Why Do People Use Amor Seco ? Now days, tribes in the Amazon rainforest utilization amor seco powder medicinally same as they have been using it for hundreds of years. A tea of Desmodium adscendens (Amor Seco) is given for anxiety. Amor seco powder is also used for the treatment of vaginal infections. Some tribes believe that amor seco plant has magical properties and its use has the potential to flare weakening relations. Rio Pastaza locals in the Amazon, mix a leaf tea and wash the breasts of breastfeeding females with it to push milk stream. Some other indigenous tribal uses of Desmodium adscendens include consumption of leaf decoction; application of crushed leaves and lime juice to the areas of wounds and infusions made from the leaves for the treatment of venereal infections and convulsions. A study was conducted in which more than 8,000 locals in different parts of Brazil were interviewed. Results of that study demonstrated that decoction made from the dried roots of amor seco is a common tribal solution for intestinal sickness. The indigenous Garifuna tribe in Nicaragua utilizes a leaf decoction of amor seco orally for the treatment of ailments like diarrhea, verneal infection and to strengthen digestion. How Effective Is Amor Seco ? Principle chemicals found in amor seco include beta-phenylethylamines, astragalin, cyanidin-3-o-sophoroside, cosmosiin, hordenine, dehydrosoyasaponins, salsoline, tectorigenin, soyasaponins, tyramine and tetrahydroisoquinolines. What Are The Side Effects /Adverse Reactions of Amor Seco ? How Amor Seco Interacts With Other Herbs and Supplements? How Amor Seco Interacts With Drugs? How Amor Seco Interacts With Foods? How Amor Seco Interacts With Lab Tests? How Amor Seco Interacts With Diseases and Conditions? What Should Be the Dose/Administration of Amor Seco ? Mostly, 1-3 mugs of amor seco leaf tea is used every day. 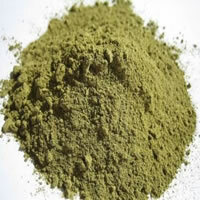 Alternatively, 4-6 ml of a standard tincture or 4-5 g of powdered leafs in for of capsules is used on daily basis.